An incredibly rare example of Illum Wikkelsø's work. 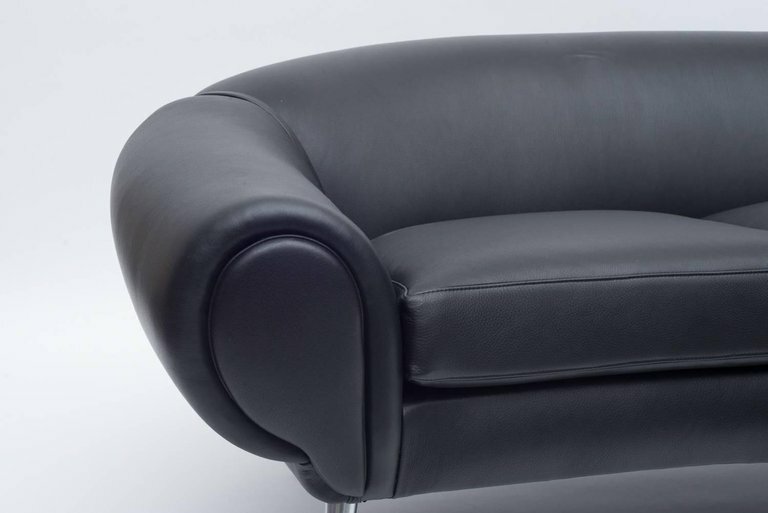 The form is consistent with his other plush and luxurious leather furniture accented by the untypical sleek aluminum legs. There is also a lounge chair available in the same form.